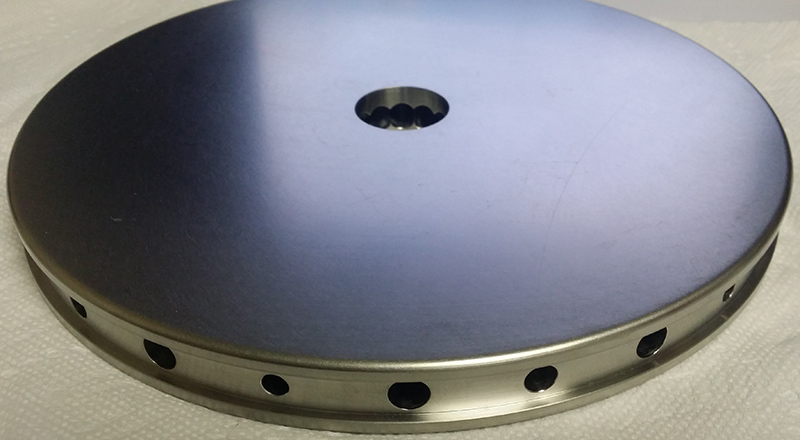 This hastelloy part was for aerospace client. The diameter was about 10 inches X 1 inch thick. It featured twelve holes intersecting in the center. 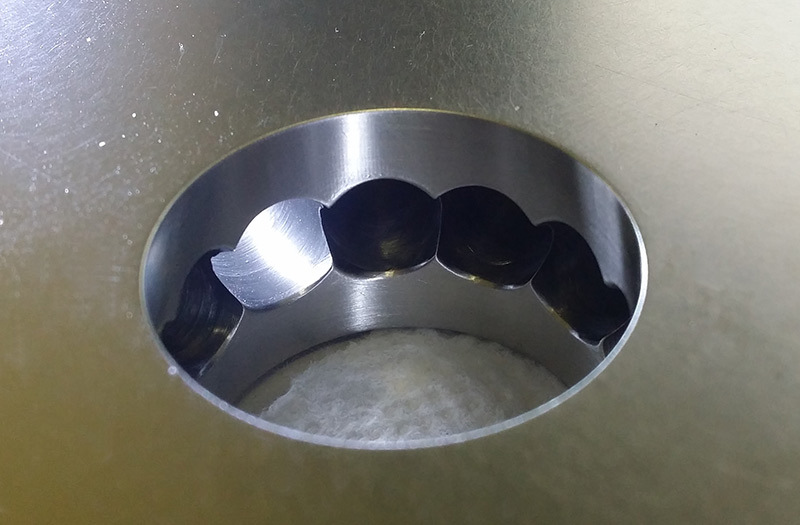 This required special german high performance drills along with our 5 Axis indexing machine. More information about machining of hastelloy parts.